"Got CRM? Why You Need Marketing Automation, Too"
Free eBook: "Got CRM? 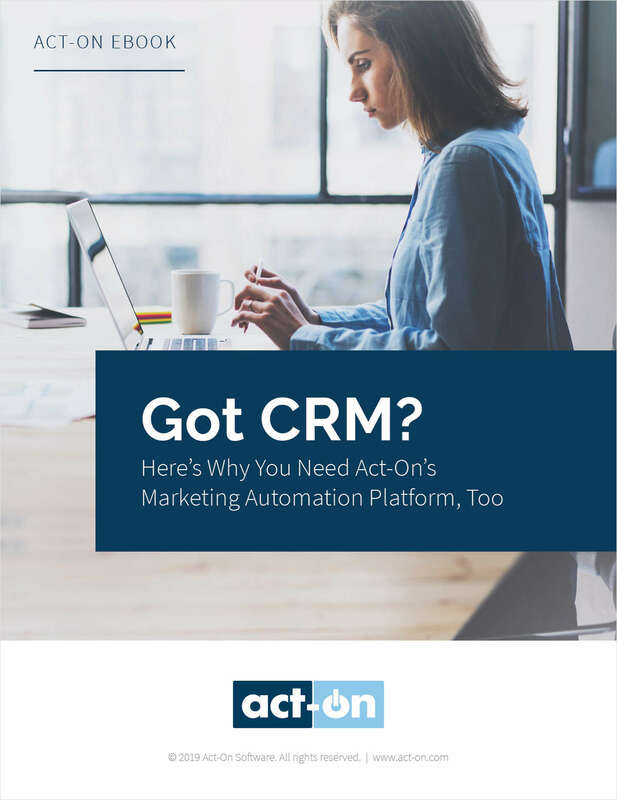 Why You Need Marketing Automation, Too"
Integrate Your CRM with Act-On to Generate Serious Results.